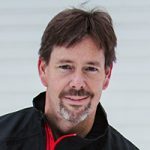 We snowmobilers are a fickle bunch. 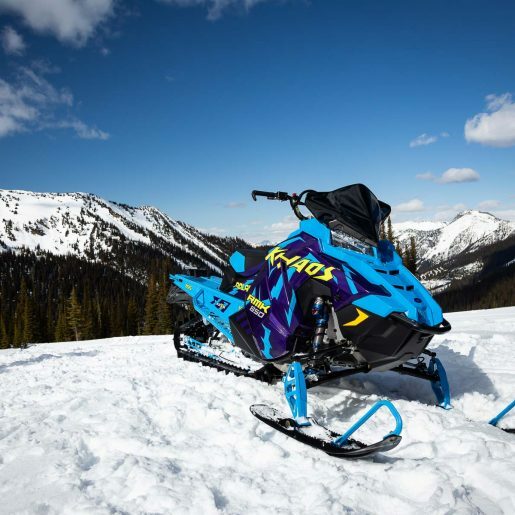 No matter how great a sled the manufacturers make, we feel the need to tinker and customize, personalize and update it with aftermarket parts. Some modifications are for performance, some are for weight savings, some for durability, some for functionality and others just purely for the looks. The more of these bases a product can cover, the more likely it is to become a popular mod. Everybody likes to go faster or climb higher while looking better than their buddy. 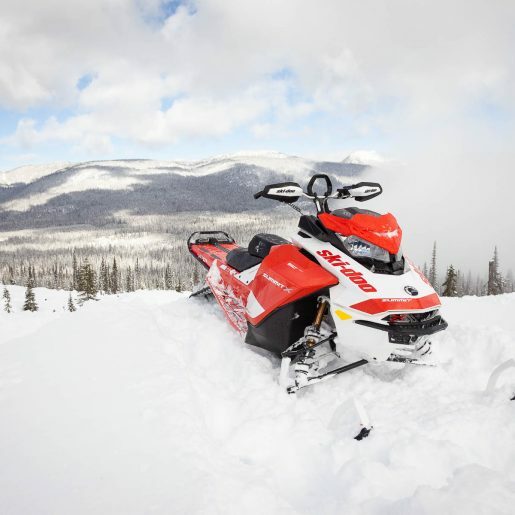 The aftermarket parts companies make their business on the wayward nature of sledders. In producing parts, they have the added freedom of playing by a different set of rules than the manufacturer is subject to; they are (to a point) allowed to work outside of set limits when it comes to noise, emissions, longevity and even—to some extent—price. The manufacturer needs to make a “whole package” of price, reliabilty and competitiveness work for the masses while an aftermarket supplier can lighten a single part for your specific usage, or increase power and not worry about an engine lasting through a warranty period. It would be great to see Arctic Cat move to an more MTB-inspired brake lever like this one from Skinz. 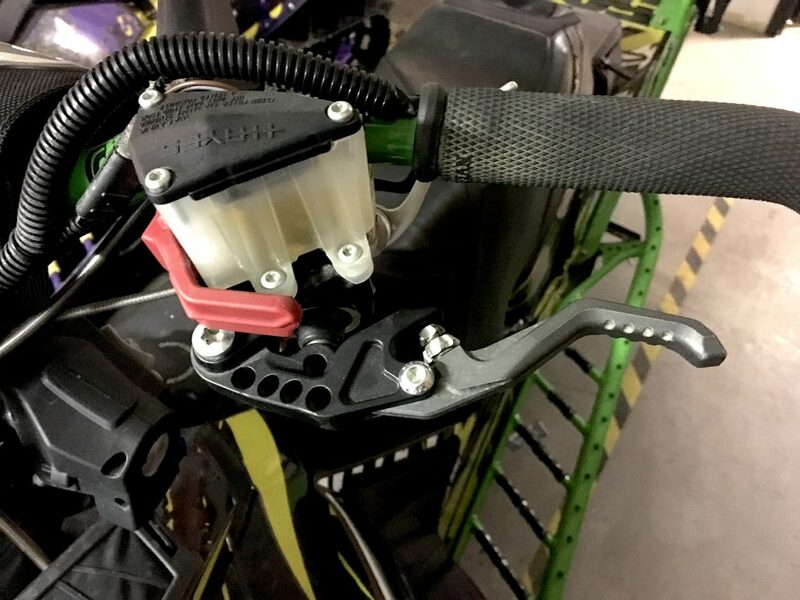 Sometimes these aftermarket improvements start to contradict what the snowmobile engineers have in mind, and often even contradict the way the market has been led. If you think that your a-arms are too weak, you can buy stronger ones to alleviate the “perceived” problem. The designers say that they have engineered this as a less expensive failure point to avoid damaging more critical components. Conversely, if you think that you’re a-Arms are too strong and don’t bend when they should (thereby damaging those more expensive components) you can buy “lighter” ones to take the impact. Who is right? Everybody. 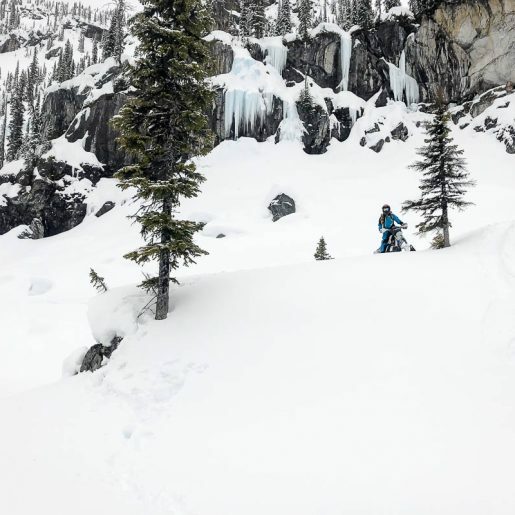 Individual riders and riding styles determine what works best for you, while the sled maker has to try to walk a fine line and make what is best for “everybody”. Unfortunately you might spend some money to find your own perfect balance point. 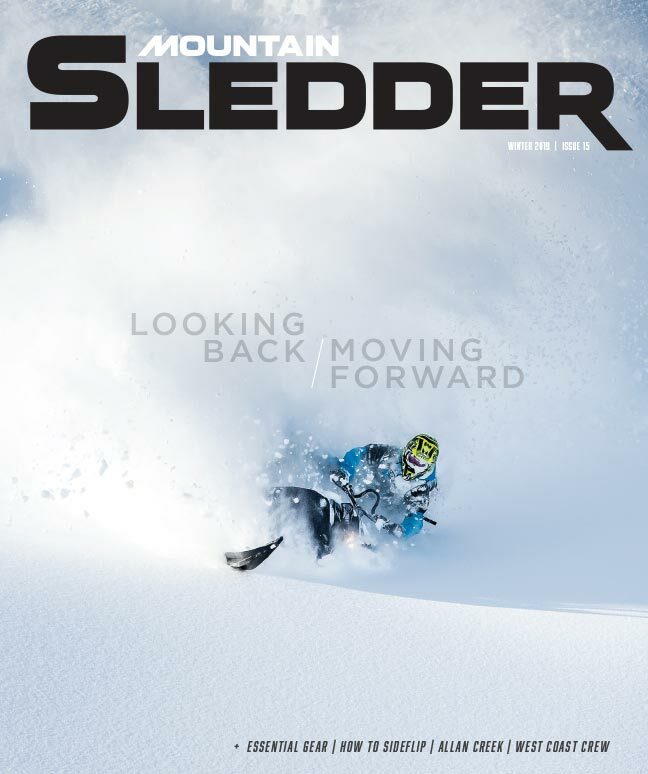 Here is a good example of the aftermarket companies reacting and catering to our capricious ways: not many years ago, most sleds came with four idler wheels across the back. Then for weight (and undoubtedly financial) savings it was often reduced to three. Along came the aftermarket guys, who decided that by removing the outside idler wheels with an elimination axle kit you could save a small amount of weight and arguably sidehill easier as the outside of the track could flex. This modification became so popular that the manufacturers soon incorporated it into their mountain sleds so they only came with two inboard idlers from the factory. Never ones to miss an opportunity, the aftermarket guys were quick to introduce a four wheel conversion kit to put extra idler wheels BACK on “for reliability and stability”. The more things change, the more they stay the same. The list goes on—some mountain riders wanted lower seats so they were easier to hop over when shifting side-to-side. Others wanted them taller so that it was easier to transition from sitting to standing. Narrower, wider, longer, shorter, with storage, without storage—whatever the manufacturers come out with, the aftermarket company will have an answer ready for you. Running boards don’t have enough traction? Buy some that have better serrations. Running boards too sharp and damaging your boots or your pants? No problem, you can go the other way too. Higher seat? Lower seat? Seat with storage? You name it, they are out there. The aftermarket companies know they have a winning design when a manufacturer starts “sharing” their ideas from the factory. 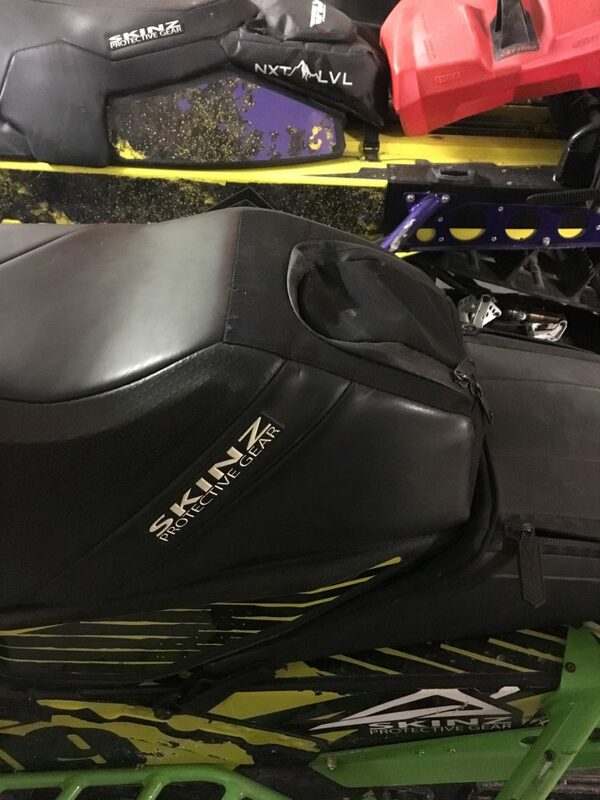 Every time you buy an accessory or upgrade for your sled you are casting a vote for that product, and if enough people vote along with you then the manufacturers take note. 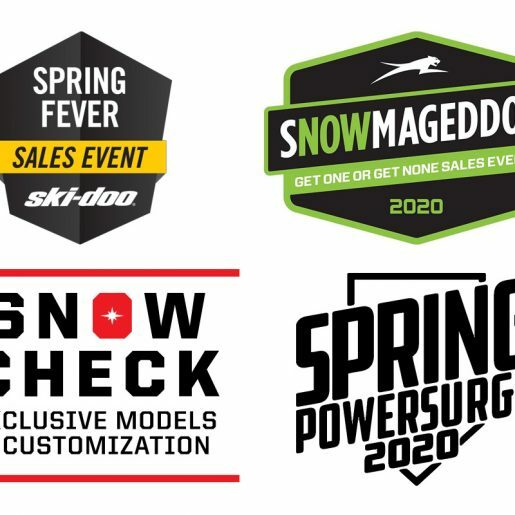 The list of innovations on new sleds that have their roots in the aftermarket industry is a long one and when these kind of aftermarket products move over to mainstream use, we all win.